Jan will show you how you can live close to Washington, DC – by public transit and/or highway – and still enjoy all the many amenities and friendliness of a quiet community. Jan is a life-long resident of Arlington, Va. 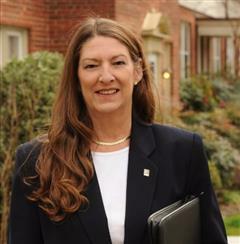 So, she is very familiar with northern Virginia …Arlington, Falls Church, Alexandria and close-in Fairfax. She knows where to find those little out-of the-way places where you will still get excellent value and a home that meets your needs. As a Realtor® for over 20 years, Jan has developed a customized system for marketing and selling properties which includes the latest technologies combined with tried and true practices. She has received special training in working with first time buyers, repeat buyers and seniors. She is a certified VHDA trainer and is certified as a Senior Real Estate Specialist (SRES©). Jan is also a certified e-Pro. She gets results you want – the best price in the shortest time. Jan is dedicated to helping clients satisfy their needs and wants while providing them with a strong investment for the future. She is readily available to provide explanations and information. She won’t push you into making an uncomfortable choice. Jan helps you to fully understand the transaction, so that you can always make an informed decision based on facts and figures. The data relating to real estate for sale on this website appears in part through the BRIGHT Internet Data Exchange program, a voluntary cooperative exchange of property listing data between licensed real estate brokerage firms in which Weichert, REALTORS participates, and is provided by BRIGHT through a licensing agreement. Information Deemed Reliable But Not Guaranteed. The information provided by this website is for the personal, non-commercial use of consumers and may not be used for any purpose other than to identify prospective properties consumers may be interested in purchasing. Copyright© 2019, BRIGHT, All Rights Reserved. Information last updated as of 04/24/2019 09:45 AM.